Kurseong municipality has been included in a project funded by a US agency to enable 40 towns in Asia to meet challenges from climate change, a boon for the hill town that is plagued by environmental problems like landslides. Other than Kurseong, 14 other towns, including Shimla, Gangtok, Leh, Dharamsala, Mysore, Panaji and Nagpur, have been brought under the project titled Asian Cities Climate Change Resilience Network (ACCCRN). The project has been initiated by the Germany-headquartered non-profit membership-driven organisation, ICLEI-Local Governments for Sustainability. The project is being funded by the US-based, Rockefeller Foundation. Samir Dip Blon, the chairman of Kurseong municipality, said: "For this project, we will first come up with a concept or vision paper to make our town climate change resilient. On August 11, we formed a committee comprising local stakeholders, representatives of forest department (soil conservation), PHE and Tea Board, municipal councillors, and members of social and educational institutes for this purpose." Sanjay Prasad, the urban planner of Kurseong municipality, said: "Even though the plan will be conceptualised soon, the burning issues facing us are landslides and how to keep Kurseong air clean. We have already started cleaning all 39 jhoras (streams)." 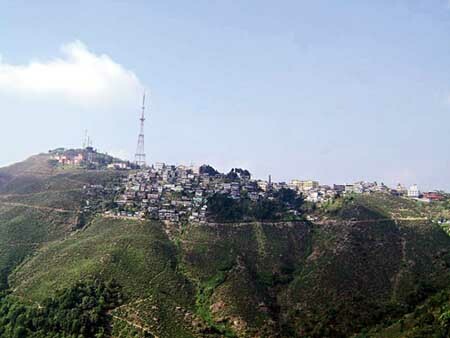 Kurseong municipality has a population of 43,346 according to the 2011census. Blon said a Germany-based company was developing a devise to detect possible landslides in an area. "The company wants to test the instrument and through the municipality's association with the international network, we are planning to invite the firm to try the devise in Kurseong. There can be no better area to test such a device," he said. Blon said once the civic body came up with an action plan, it would have to start a pilot project. "We can receive funds to the tune of $20,000-25,000 for the pilot project. If the pilot project becomes a success, there will be ample funding opportunities available for us," said Blon. Kurseong municipality has been included in a project funded by a US agency to enable 40 towns in Asia to meet challenges from climate change, Other than Kurseong, 14 other towns, including Shimla, Gangtok, Leh, Dharamsala, Mysore, Panaji and Nagpur, have been brought under the project titled Asian Cities Climate Change Resilience Network (ACCCRN).